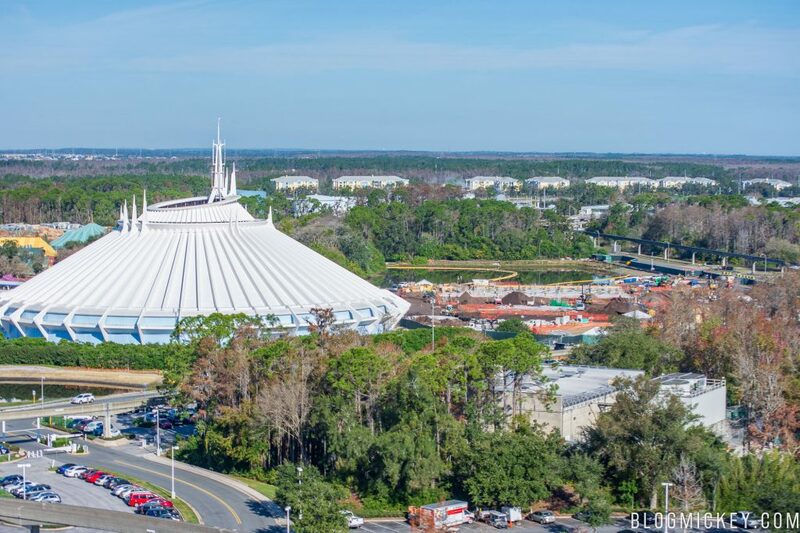 With the recently filed ride steel installation permits, Tomorrowland Speedway partial demolition, and more land clearing, we decided to get an elevated view of the TRON roller coaster construction site to provide a different look at the work. 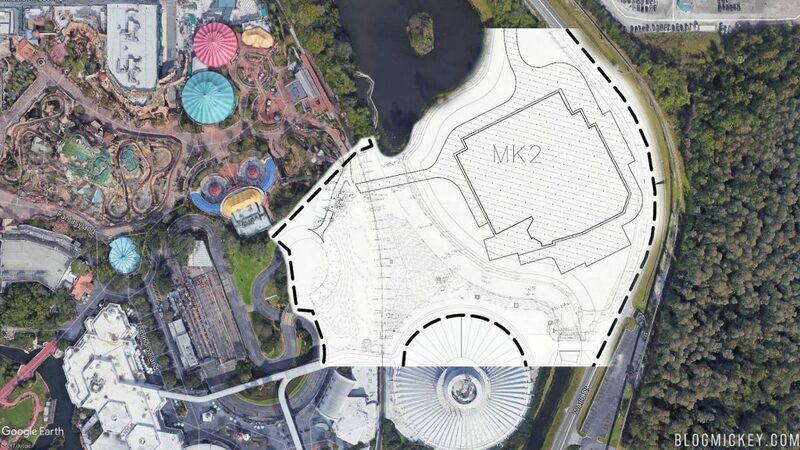 In case we haven’t done a good enough job explaining it up to this point, here’s a permit and concept art to show the location of the TRON roller coaster relative to Space Mountain. 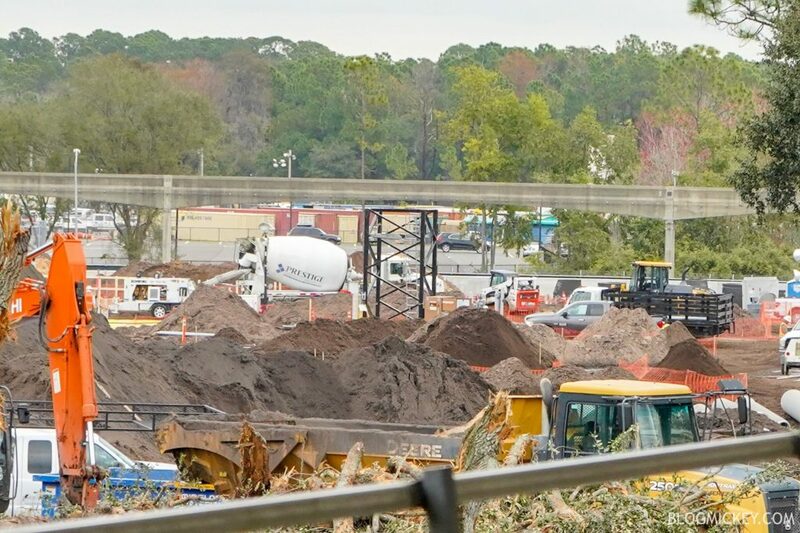 In this overview photo, we can see the construction site just to the north of Space Mountain. 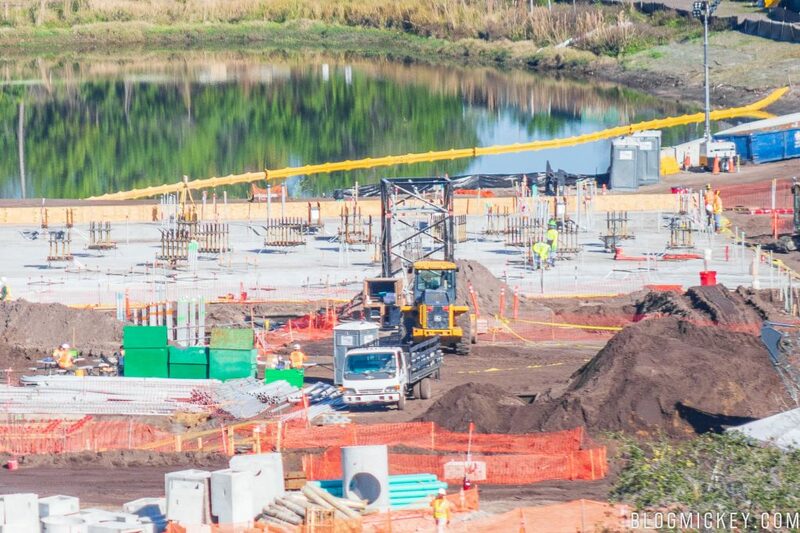 A closer look shows the concrete pour that we spotted a few weeks ago. From this vantage point, we can also see the first part of a tower crane that we spotted from the PeopleMover not too long ago. Here it is from the PeopleMover. 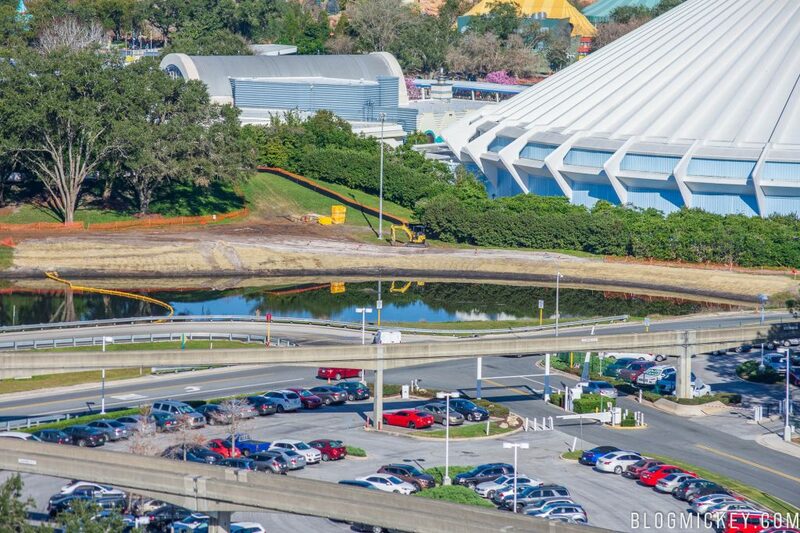 In addition to the work taking place directly on the TRON site, there is work taking place on a pond to the south of Space Mountain. According to a permit filed with the state, the work is to expand the footprint of the pond to offset a filled in canal and an ongoing wetland protection agreement with the state. 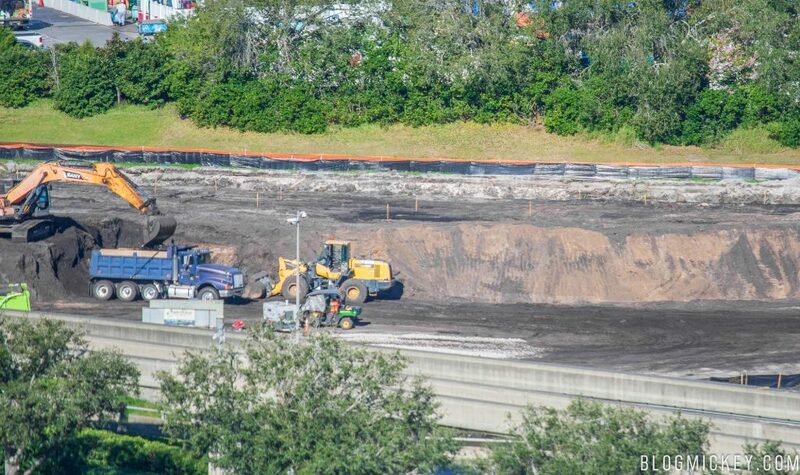 The north end of the pond (closest to Space Mountain) has been expanded and it appears that work on the bank of the pond is nearly complete. Work is just beginning on the south end of the pond. 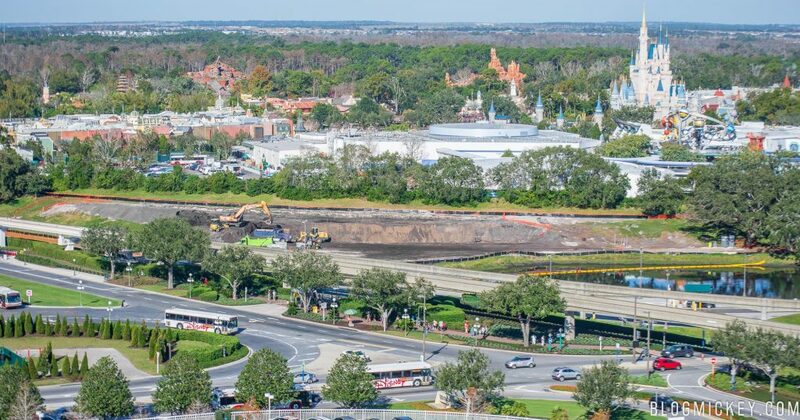 It appears that Disney has first graded the area down from the gradual slope it use to be in preparation for a proper excavation for the pond expansion. The TRON roller coaster doesn’t have a set opening date, but predictions have it opening in the second half of 2021.